Truth by Kbaig: Hangings in Bangladesh for Loving Pakistan! Hangings in Bangladesh for Loving Pakistan! The details of the massacre of non-Bengalis by the Awami League with the help of India before and after 1971 are being unveiled gradually. The sources of these reports are Western newspapers and declassified US govt. documents. The stories being unveiled are horrible enough to give shivers. It is astonishing that representatives of Western Media were aware of the genocide of the Non-Bengalis but why did they keep their eyes closed and lips shut? Why did not they recorded they protest over crimes against human race? After, disintegration of Pakistan when propaganda against Pakistan was on its peak, fabricated stories of atrocities committed by Pakistan army were being published and propagated why did not those who knew reality negate the propaganda? Even if few facts were published in the form of books, these books were kept away from the people of sub-continent so that Pakistan army can be kept under pressure through propaganda. 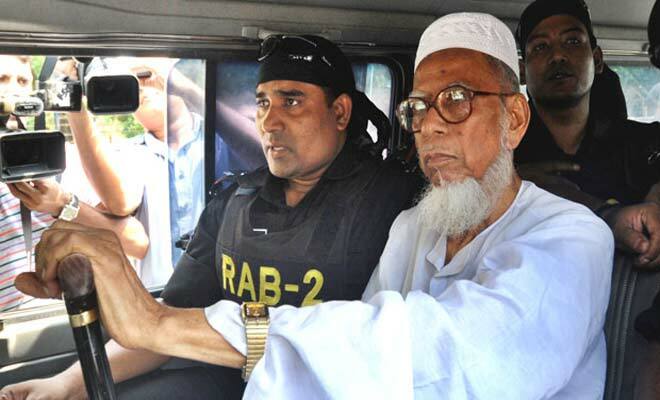 According to the book “Bangladesh: The Unfinished Revolution” written by Lawrence Lifschultz, Abdul Qadir Siddiqui joint leader of Awami League and Mukti Bahni announced to have a general gathering in which trial of those who supported Pakistan was to be held. In this regard representatives of international media were specially invited who reached along with cameras. Abdul Qadir Siddiqui made a firebrand speech for an hour against Pakistan telling the fabricated stories of atrocities of Pakistan army against Bengalis. After this it was asked from the gathering that what should be the punishment of those who supported Pakistan; Mujeeb demanded death penalty. After this all those who were brought their alleged for supporting Pakistan were killed with the bayonets of the rifles. Representatives of International media captured all these moments but they have never been published, however, some Western newspapers published few pictures with short notes. Similarly, weekly ‘Times’ published a news report of killing some innocent Bihari people who were brought by Abdul Qadir Siddique with him during a rally in Dhaka. Times also mentioned the claim of Mukti Bahni providing justice to Biharis that was delivered to Biharis in the form of firing after a crowded Press Conference at Dhaka. 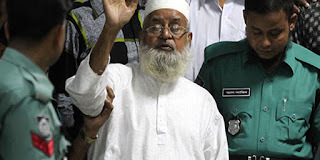 Mutti ur Rahman Nizami hanged by Bangladesh Govt. Moreover, after the war of 1971 was over, a deal for release of Pakistani soldiers and civilians taken as Prisoners of War was signed in which it was mutually agreed; neither Pakistan, India nor Bangladesh would try the prisoners of war for war crimes or any other type of acts done during or prior to the 1971 war for maintaining law and order situation. Such an agreement was signed between Pakistan and Mujeeb’s govt. in Bangladesh as well supported by India because if the Pandora box of aggressive invasion of India over Pakistan was to be opened, it would not only unveil the Indian conspiracy to disintegrate Pakistan but also hurt Indian soft image as world would have known the imperialist designs of India. Ali Ahsan Mohammad Mujahid! 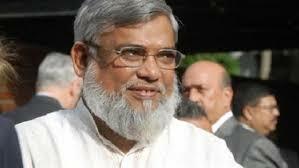 hanged by Sheikh Hasina led government. After murder of Sheikh Mujeeb u Rehman along with his family in the hands of his own Bangladeshi army, the killings of Biharis and pro-Pakistani Bengalis got suspended. A silence prevailed for long time. 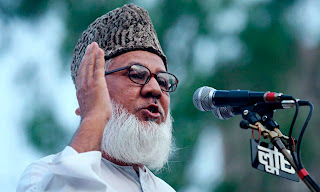 In her previous reigns Haseena Wajid avoided opening the disputed matters and fueling hatred against Pakistan openly. However, in the current reigns of her govt. where she had the allegations of rigging in the elections on Awami League with the help of India, she has also started judicial killings of those elderly Bengalis who supported Pakistan before 1971 through so-called “International War Crime Tribunal”. Although, silence was observed over the govt. and political level in Pakistan, however, on the international level the so-called “International War Crime Tribunal” has been termed as unjustified, illegal, unjust and against the justice. 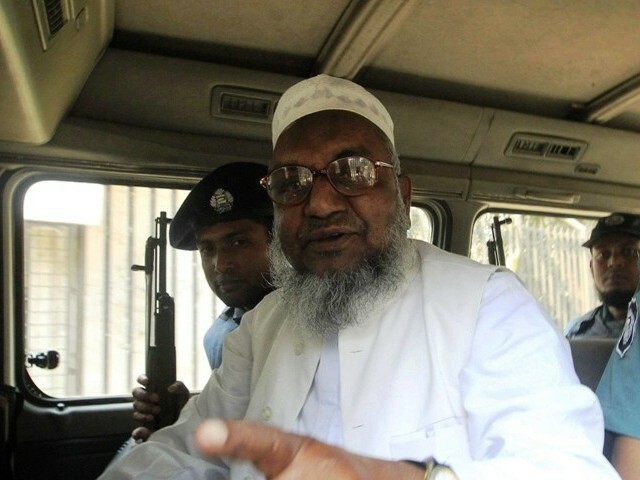 However, Haseena Wajid did not listen to these objections and started trials of elderly Bengalis for supporting Pakistan during 1971 rebellion in order to quench Indian and her own fire of hatred against Pakistan. 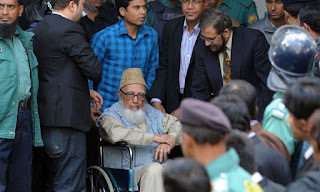 The first elderly Bengalis who were hanged under these judicial killings were Professor Ghulam Azam a great scholar, Great Religious Scholar Allama Dilawar Hussein Saeedi and Sallahuddin Qadir. 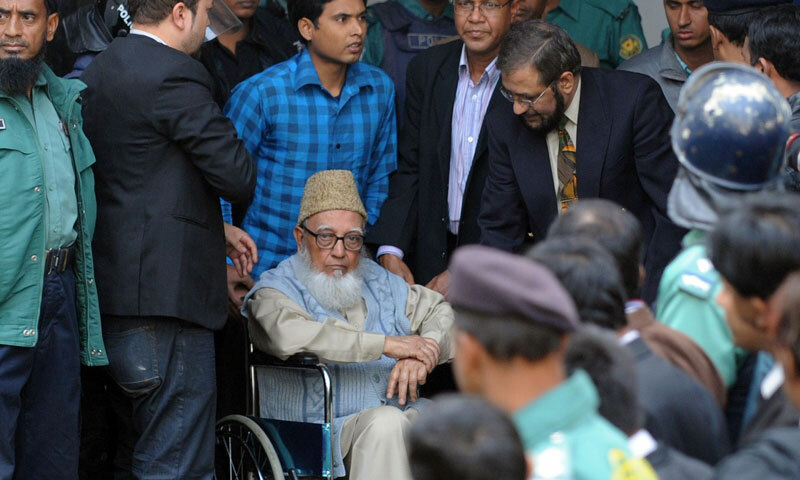 The news of trial of these three persons was first of all leaked by human rights activist and legal expert Barrister Kidman from Britain in 2012 that with the concerns that Bangladeshi govt. had been prepared to hang these three persons for supporting Pakistan. Said Press Conference was released on 23 October 2012. During his press conference, he disclosed that right of appeal against the capital punishment sentenced by the said war tribunal has not been given which shows that Bangladeshi govt. wants to execute as soon as the decision of her will is given by the tribunal. UN’s Council for Human Rights also termed the establishment and procedure of trial by the tribunal against the rules of justice. Before this when establishing of the tribunal was being discussed, Haseena Wajid invited US legal expert / lawyer Stephen J. Rapp for discussing the issue. Within short time Stephen Rapp visited India and handed over a report consisting of 10 pages in which it was emphasized that procedure of trial in the tribunal should be made transparent and just according to the international rules of justice. Nevertheless, Haseena Wajid was burning with the hatred against Pakistan (also had Indian pressure on her as well) thus she wanted to quench her fire of revenge. In this way the massacre of supporters of Pakistan once again started that is still going with the only difference that in the past the killers of Awami League, Mukti Bahni and Indian agents were used to kill Bengalis and now this is being done through judicial killings.